Champions Academy will be changing locations for the 2019-2020 school year! We are hosting tours through the new campus location on Monday, April 15th or Tuesday, April 30th at 5:30 p.m. 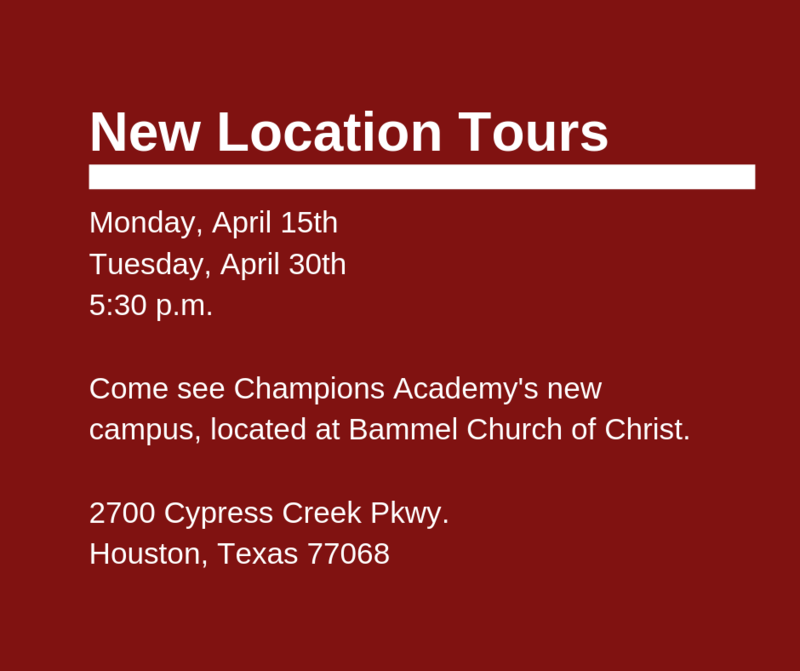 The new campus will be located at Bammel Church of Christ-- just four minutes from the current campus. If you plan to join us for a tour on either date, contact our main office at 832-446-6762 to let us know which date you are coming to. We will be meeting in the cafeteria.